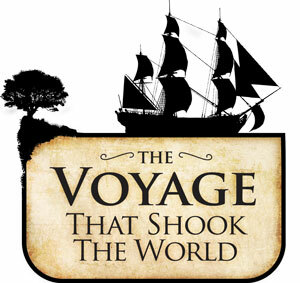 More controversy erupts with renewed allegations against the makers of The Voyage—this time directly from three interviewees. “Historians misrepresented by creationists” shouted the headlines of the website of the National Center for Science Education. Darwin experts, Drs Janet Browne, Sandra Herbert, and Peter Bowler, co-authors of a ‘disclaimer’ about their interviews in CMI’s Darwin film. Actually, when one reads the article, it is rather mild compared to the impression one gets from the NCSE site, and even from the article’s subtitle. The historians’ description of the film, while not totally accurate at all points, is not unreasonable and in some respects complimentary. In fact, the following from their article is very significant. They say: “Had we known the true origins of Fathom Media, we probably would not have contributed” —which was a major reason for our not wanting to thrust our name in people’s faces. The logic was not lost on them, it seems, as they go on to say, “but the producers do have a point: if academic historians refuse to participate when movements they don’t approve of seek historical information, these historians can hardly complain if less reputable sources are used instead.” Exactly. What follows comes from his written response to us, which details the claims and responds to each one, including providing the unedited transcript text. Yet in my interview with Prof. Bowler he offered no reference at all that I or others could tell (even on re-examining the transcripts), to the work of Desmond and Moore, nor was there any statement that Darwin was inspired by his opposition to racism and slavery, or anything to that effect. Steve: Can you talk to us a little bit about the Jemmy Button story when he was on the Beagle how that influenced his thinking? Peter: (08:28:11:03) Well the Beagle had, was it three Fuegans aboard whom Captain Fitzroy had taken from the island onto the ship’s previous visit. And they had been brought back to England and had been educated and by the time Darwin met them were behaving as educated Europeans. And Darwin then accompanied the ship down to Tierra Del Fuego where these people were put back ashore. And Fitzroy and Darwin both hoped that because they were now educated they would be able to teach their own people that the benefits of civilisation and of course this went terribly wrong. And by the standards of that time they reverted to savagery very rapidly. And Darwin saw for himself the state in which the people of the island normally lived, which was a very primitive one with very limited tools and limited food supply, very little in the way of clothing or shelter or whatever. (08:29:36:04) And they’re brought face to face with just how primitive, if we can use that term, humans can be still in the world today. And that raises several questions in his mind. One is is this telling us something about the original state of human beings or has the Fuegans fallen back to that savage state from originally a higher state. And of course once you become an evolutionist then the idea that the way they’re living now is an analogue to the way our own Stone Age ancestors would have lived many many thousands of years ago. Peter: (08:31:12:10) But the other question that Darwin then has to contemplate is whether that difference is something deeper, something biological. Is it a possibility that perhaps that they don’t have the same capacity to develop the arts of civilisation, that they could never for instance do it by themselves? Peter: (09:00:36:23) … they hoped that they will be able to educate the various races of man kind in the arts of civilisation but there was always this nagging problem of is it going to be possible. And one thing that’s characteristic of the general direction of European’s thought during the 19th century is there were increasingly harder line taken on that which we see reflected in Darwin himself. That by the time he writes the Decent of Man in 1871 it’s pretty clear that he by that time shares the growing suspicion or conviction of many Europeans. The non white races simply do not have the capacity to be elevated properly into civilised human beings that they are mentally and morally at a more limited level. In a sense they are stuck at an early stage in the biological evolution of the human species. (09:01:42:06) So their way of life may offer us a so fossilised relic of what our own ancestors lived like in the distant prehistoric past. But now Darwin and many of his contemporaries are beginning to realise that what they needed to claim that they are biologically relics of the past. They are in fact equivalent to earlier stages in the ascent from the apes who have been preserved in isolated locations, preserved with those earlier levels of mental and moral development. Steve: How does that then – that sort of ties in quite nicely with the charge that Darwin’s thinking really lead to a lot of the issue in rights atrocities the 19th and 20th century and especially in terms of eugenics movement and things like that. Peter: (09:02:39:12) Well this is a very complicated situation. I mean clearly Darwin’s theory reflects the many of the social values of his time and the language he used was certainly seized upon by many people in his own time to create as the world view where we struggle in competition and the inevitable survival and triumph of the fitter races or individuals that is seen as part of the natural order of things. And Darwinian language the struggle for existence, the survival of the fittest becomes part and parcel of that whole world view and in that sense Darwinism feeds very directly into that way of thinking. But the situation’s complicated by the fact that Darwin’s actual theory of natural selection was not taken very seriously by the scientists of the time. So although theory seems to reflect the values of the time the scientists sort of don’t want to follow through the logical implications of that and impose the values of capitalism or racism on nature. (09:03:58:10) So they back off from accepting natural selection just at the time when writers, politicians, philosophers and all sorts are gladly using the rhetoric derived from natural selection to reinforce those arguments. So the relation between the science and the social developments of the time is a two way process. You can’t say that Darwinism caused those things. And in fact even the scientific arguments offered as background for many of those social positions were not necessarily Darwinian. Herbert Spencer who was the great social Darwinian of the late 19th century was a Lamarckian. He believed in the struggle stimulating self improvement and those improvements being passed onto future generations. So Spencer’s called a social Darwinist but in fact was not very Darwinian. And many of the early geneticists who were happy to see genetics used to support eugenics, the idea that there would be harmful genes which we need to weed out of the population. Many of them were not initially Darwinians and the synthesis between genetics and natural selection comes only in the 1920s and 1930s after a couple of decades of genetics are being seen as an alternative to Darwinism and yet being used as a foundation for eugenics. So it’s an extremely complicated situation. (08:28:51:10) Fitzroy and Darwin both hoped that because they were now educated they would be able to teach their own people that the benefits of civilisation and of course this went terribly wrong. And by the standards of that time they reverted to savagery very rapidly. A year later, the Beagle returned, to begin the Pacific leg of the voyage. Charles found Jemmy Button again. Nothing of the English gentleman remained. 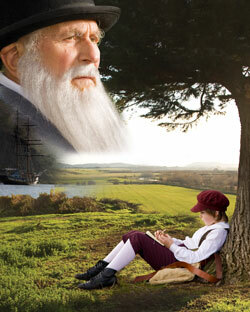 To Darwin, it was as if Jemmy had slipped right back down the ladder of human progress. (08:29:47:09) And that raises several questions in his mind. One is is this telling us something about the original state of human beings or has the Fuegans fallen back to that savage state from originally a higher state. (08:31:12:01) But the other question that Darwin then has to contemplate is whether that difference is something deeper, something biological. Jemmy would have a profound impact on Darwin’s later writing, when he applied his theory of evolution to humanity. (09:01:29:10) by the time he writes the Descent of Man in 1871 it’s pretty clear that he by that time shares the growing suspicion or conviction of many Europeans. The non white races simply do not have the capacity to be elevated properly into civilised human beings that they are mentally and morally at a more limited level. In a sense they are stuck at an earlier stage in the biological evolution of the human species. Such ideas are now seen as racist with no basis in science. Today biology and genetics reveal that all people groups are very closely related. But in 1834, this experience, as well as his grandfather’s evolutionary ideas, had given Darwin another way of looking at human origins. A picture very different from the traditional biblical view that all people are descended from Adam and Eve. Steve: So he sees these mockingbirds island by island? Sandra: (04:02:54:15) He sees these mockingbirds island by island differing and he collects them, labels them and he starts thinking well these are different from the South American mockingbirds somewhat. Are they good enough-are the differences enough to be called true species, he can’t really answer that himself because he’s not a designated taxonomist. But he wants to ask this question and he now thinks maybe species aren’t so stable and maybe what I’m seeing is change, a change of a mockingbird from the South American type, every so slight. So this is 1836, the summer he’s thinking about this as he’s coming home and he brings-immediately upon arrival, he gets these birds to John Gould at the Zoological Society of London. John Gould comes back within weeks and says these are good species. The differences among them are enough for us to call them separate. With that Darwin moves over to the transmutationist column because he believes he’s seen it himself. He’s seen the results of species change. At this point he starts to use phrases like if species change. So he’s crossed the line and this is the spring of 1837 and he starts to keep notebooks on transmutation and these have been published now so you can see him working this out. (04:04:28:04) Of course, it’s huge because once you commit yourself to a transmutationist explanation, you have to explain everything. You know, why are there two sexes? What happened to-you know I mean absolutely everything has to be explained. So it’s a huge project. He knows it’s going to be a lonely one for a long time too because after all Lyell who’s his closest patron and becomes his friend has written a book against transmutation. So, you know, it’s going to be a long road, but he’s a very young man and he has the time to work it out. So that’s what he does for the next twenty years. Steve: My understanding also is that Lyell was positing deep time in terms of the slow and steady? Steve: Maybe if you could just talk about that and how important that was for really Darwin’s theory to work? (16:29:44:15) We see a lot of variation potential in nature but real novelties are not there. People talk about different species and speciation in nature. That’s something that we can observe but it is not the same thing as creating novel structures, novel information. I don’t see that. This novel, new genetic information is essential for Darwin’s theory to work. But he had his own information to process as he left the Galápagos. It would take many years before he was ready to show his theory to the world. And the world would not be the same. (04:04:28:04) Of course it’s huge because once you commit yourself to a transmutationist explanation, you have to explain everything. So, you know, it’s going to be a long road, but he’s a very young man and he has the time to work it out. So that’s what he does for the next twenty years. It is worth noting that at the end of the documentary, we make it very clear that in “On the Origin of Species” Darwin did not attempt to answer the question regarding the origin of first life, which further nullifies Prof. Herbert’s complaint and ensures that viewers do not read that into her sweeping statement. We would be delighted to publish news of a retraction of either or both of these two claims in this space, should that occur. These matters aside, it needs to be pointed out that Professors Browne, Herbert and Bowler provided many other first-rate interview segments on different topics that were used in the film. Also, well before their joint article appeared, both Dr Herbert and Dr Bowler were provided with DVD copies of the raw, unedited footage of their entire interviews. Again, I encourage people to view the documentary and make up their own minds on how their material was treated; I believe it was done with fairness and respect, and due regard to the context. UPDATE 14 August 2009: BBC presenter William Crowley’s show sparked our article Did CMI ‘lie’ in making The Voyage?. He is not known for any creationist sympathies. Nevertheless, in relation to this ‘historian’ furor, he has fairly and accurately quoted a significant extract from our above article (and linked to it) on his blog. Did CMI ‘lie’ in making The Voyage?